THE NEET-UG BASH IS OVER NOW AND I BELIEVE YOU DIDYOUR BEST JOB FOR IT. NOW,IT’S TIME FOR BLOW YOUR MINDS AGAIN WITHYOUR HARD WORK TO ENTER IN THE MOST PRESTIGIOUS MEDICAL INSTITUTEIN COUNTRY “ALL INDIA INSTITUTE OF MEDICAL SCIENCES(AIIMS)“. I THINK MOST OF YOU HAVE A BIG DREAM OF AIIMS AND TO MAKE THIS DREAM INTO REALITY YOU HAVE TO POLISH YOUR STUDY WITH EXAM LEVEL AND PATTERN. SO I AM POSTING SOME TIPS FOR AIIMS ENTRANCE EXAM WHICH I USED TO FOLLOW IN MY PREPARATION DAYS.I HOPE THEY WILL HELP YOU TO GET INTO “AIIMS” AND IT’S SIX NEW SIBLINGS WITH TOTAL 672 SEATS. 1.STOP THINKING ABOUT WHAT YOU HAVE DONE IN NEET AND OTHER EXAMS.YOU HAVE ALREADY DONE WITH IT AND YOUR THINKING CAN’T CHANGE YOUR RESULT.IT IS ONLY A TIME WASTING,NOTHING ELSE. 2.KEEP REVISING YOUR BASIC CONCEPTS AS THEY PLAY A MAJOR ROLE TO SOLVE AIIMS PAPER. 3.REVISE NCERT IN ALL THREE SUBJECTS BECAUSE REVISION OF THEORY FROM NCERT CAN GIVE YOU BETTER UNDERSTANDING OF CONCEPTS. 4.START PRACTISE A LOT OF ASSERTION-REASONING QUESTIONS BECAUSE THEY ARE THE MOST IMPORTANT OBJECTS WHICH MAKE THE DIFFERENCE. 5.DON’T TRY TO WASTE YOUR TIME IN LEARNING GENERAL KNOWLEDGE (G.K.) CZ YOU QUESTION CAN BE ANYTHING AND YOU CAN’T LEARN EVEN A SHORT OF IT. AS THEY HAVE ONLY 10% WEIGHTAGE ,SO U CAN ESCAPE THEM CZ CUT OFF DOESN’T GO VERY HIGH.DO YOUR EFFORT IN OTHER SUBJECTS. 6.SOLVE PREVIOUS YEAR PAPERS TO UNDERSTAND THE PATTERN AND LEVEL OF QUESTIONS AND SOLVE THOSE TYPES OF QUESTIONS. 7.DON’T TRY TO SOLVE VERY HIGH LEVEL QUESTIONS BECAUSE AIIMS EXAM WANTS BASIC KNOWLEDGE WITH THEIR APPLICATION NOT MORE DEEP. 8.GIVE ATLEST 4 TO 5 MOCK TESTS TO BUILD YOUR CONFIDANCE. BELIEVE IN YOUR HARD WORK,JUST ONE MONTH HARD WORK CAN GIVE YOU YOUR RIGHT PLACE. This entry was posted in ADMISSION COUNSELING, BOOKS BY RAHUL CHAWLA, Common Entrance Test, EBOOKS, EXAM TIPS, EXAMINATION NOTIFICATIONS, Media, Motivation and Inspiration, NATIONAL ENTRANCE ELIGIBILITY TEST ( NEET), Previous Years Papers, RESULTS and tagged AIIMS, aiims 2013, AIIMS BHOPAL, AIIMS BHUBANESWAR, AIIMS DELHI, AIIMS JODHPUR, AIIMS MBBS, aiims patna, AIIMS RAIPUR, AIIMS RISHIKESH, ALL INDIA INSTITUTE OF MEDICAL SCIENCES, Facebook, facebook.com, MBBS, National Council of Educational Research and Training, neet, SIX NEW AIIMS, VAIBHAV. Bookmark the permalink. i want to knw ki if we give aiims exam then we will choose that in which aiims we want to go or all aiims take separate exams???? No. There is a single aiims entrance exam through which, according to your rank, you will be allotted respective aiims college. I am in class 12 already and its already october. I really need motivation to keep up my spirit for next years aiims/aipmt because i feel like i have just wasted all my time before today. My 11th bio is strong but my physics and chem has gone into gutter..:( ….yes i study but i forget them again consistently….which is heartbreaking..but i have been shoken up this month to start taking things more seriously..i also take coaching but after it gets over i get only 2-3 hrs to study..
can i still get through aiims if u start really working hard from now…?? And yes i require tips to study smartly..
1. Make a proper schedule..dont waste time..study smartly..
2. Revision..esp for those topics you are week in..
3. Give more time for self study. Don’t attend coaching classes for every topic..if you know a topic fairly well…better go for self study..
4. Start solving past papers. Cut off changes every year. Please attend all the rounds of counseling. …can i get aiims delhi?? Please refer to the articles put on the website. pls tel me no of attempts in aiims/? i do not knw if u ppl really reply bt d last 2 times i have entered my doubts…dey werent replied by u! bt again m here….. my name is vedika nd i just dropped last year to get admission into a government medical college dis year….my AIR dis tym is 5829 nd state rank (punjab) is 308.
dere is hope dat i ll get a govt colg bt m nt so sure….d first tym i gave aipmt…my AIR was 32342.
considering d improvement i made in my first drop, i really want to know if i shud take one more chance or not? my family is strictly against dese dropping ideas…rather last year i had to fight wid al f dem jst fr my dream to b a doctor…dis is actually my passion….smthing i want to do REALLY. but my family says dat dis way u ll keep on trying nd ur frns ll evn pass out d respective courses nd ll have good jobs in hand while u ll b studying nd den d line comes….life mei aur bhi bahot kch better h karne ko bt d real thing is dat i don feel life can offer smthing better dan dis…. since u ppl r already in a colg dat too in an awesome one…i want to know ur opinion regarding dis! and yes i evn wana knw dat does it really matter if u r doing ur mbbs frm prvt or govt colg? Firstly lets hope that you get a seat this year. And yes, you have made a very good improvement no doubt about it. Parents ka aisa kehna bahut obvious hai, as they keep into consideration may things such as, time, society, failure etc etc.. If your really passionate about being a doctor, you’ll have to convince your parents which is only in your hands. Just tell them ki kuch saalon baad kisi ko yaad bhi nahi rahega ki you had dropped and you will be recognized as a doctor. Above all, you’ll be in your dream profession and happy in life without any regrets. But always remember one thing, just the decision of you dropping another year does not assures of getting a medical seat, it all lies in your hardwork and practice. I am 3 year dopper aur maine bsc ki hai , yhe sal mera 3 rd drop tha or mere ko is sal b mbbs nhi mil rha . Muje bhot tension depression ho rha bhot confused hu is sal drop kru ya nhi ya fir du microbiology bsc h kr lu….. parent mere se bhot disappoint hai..
3 drops are too much. i think u should go with microbiology. sir i have dropped a year and can’t make it to govt. medical colleges. but i am quite confident that i will be selected next year. but is it too late now? are there students in medical colleges who dropped for two years? i am very depressed. everyone is suggesting me for b.sc. i am very depressed. kindly reply fast. i have to take a decision now. See, depression won’t provide you solution…so avoid it. And to tell you, yes, there are students who have dropped not only 2 but 3,4 years also!! It was their persistent passion to be a doctor, for which they strived till they got it! so, decide by yourself and follow that! Good luck! Negetive marks se kese bache. See firstly you have to be thorough with NCERT (esp for Bio and Chem). Apart from this, you have various reference books for each subject. For Biology, Truemann’s is surely one of the best books, to understand every topic clearly. And also follow Biology @ Your Fingertips, it is a must. For Chemistry, if possible try O.P.Tandon, it’ll do for both theory & objective. If ur comfortable with Modern ABC, please proceed. For Physics, pls Do previous years papers from Pradeep’s. For theory and certain Concepts you can surely go ahead with Modern ABC. is it a good idea to follow truemans objective biology ? because im very comfortable readint his boo…. And moreover your comfortable with it, so you should just carry on..!!! Being a medical aspirant, you should be thoroughly prepared with Biology as it forms 50% of marks in most of the exams. Getting freaked out is quite common while solving question papers, because you come across various new things. Hope your not taking Bio and Chem lightly, because you have hell lot of things to remember in them. So the more you practice, the more you remember. So don’t get tensed, keep working hard, practice and keep revising things. So that shall help you certainly. sir ,i want to know whether english spoking is a compulsory requirement in aiims & want to know living environment their. i am a little scared of these .i want to know whether the teaching environment is friendly or not.due to these problems i amn’t able to focus. Rather than wasting your time thinking about all these junks, you should moreover think about cracking the exam first. Ek baar jab exam clear kar loge, counseling ke waqt yeh saari cheezein baith kar sochte rehna…!!! i have secured 44003 in NEET and 5162 state rank in UP CPMT. I know that its not a good rank. Since i was focusing more on boards at that time i was able to score 90.2%. Now i have decided to drop. Please tell me how should i prepare myself if i start from now. when I sit to read NCERT books, either of bio, phy or chem, I find myself boring as d problems n examples for phy & chem seem to be very easy. Biology from NCERT also seems to b earlier from Trueman or S Chand. but I know careful reading of these books will take me many steps ahead in this race. Still I can’t concentrate myself for reading those books. Moreover as I take CRPs from aakash, I found that these books also follow NCERT to a great extent & that’s why I spend a lot of time in reading Dinesh, MTG magazines, TRUEMAN and many other. I think those books contain more material than NCERT. But I do not have any improvement. PLEASE HELP ME……. I stdy in clss11. I want to ask is just a ‘mugging up’ of NCERT is enough (even more than enough!) to crack AIIMS? OR ANYTHING MORE IS ESSENTIAL FOR SUCH? Is it safe to follow irodov, dinesh and hc verma altogether for physics? Which chapters are to be given more ‘focus’ in case of chem, bio n physics? I’ll b kindly obliged if u can help me in getting these answers as soon as possible. Chem is vast. Focus on organic from now only. Inorganic is something that needs regularity. Keep revising it. sir can you please tell me the level of aiims examination coz i have come to know that it is of iit level. Yes. If engg has IIT then Medical has AIIMS. though you need to focus on Assertion type ques more. Which make AIIMS tougher than IIT. Although Physics is purely conceptual. If you came by mugging the formulae then you will ruin your paper. i’m in class 11 and i want to get a good rank in aiims without official coaching.what should i do and which books should i refer? You have plenty of time and if you take it serious from right now then you can easily crack it. sir can you please tell me as to if GK section in aiims exam is qualifying or not. but sir if the marks from gk are not counted and they are the criteria for qualifying the exam then why is the section there in the paper??? i came to know through my bio teacher that one has to attempt at least 7 qstns from gk in order to get through the exam. you qualified the exam; how many qstns had u attempted???? sir can you also tell me about the level of exam in physics and chemistry- is it iit based or easier than that as they appear in explorers??? i am studing gseb bord and preaper it now…… so what i have to do for aiims? 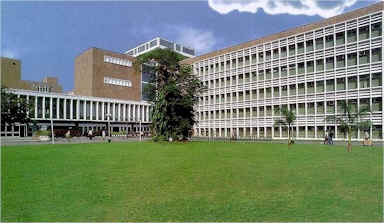 which aiims is better among the 6 new aiims??????????? i need guidance yaar i secured 13000 rank in neet n i knw i will not got a good college so i decided to drop this year i have joined a dental college n will study for mbbs too….wt to do?i mean starting from the vry beginning n study hard for that?n clearing my concepts?anything else is there that i shud do?? Sir my neet AIR -7302,AIR(OBC)-2515,state rank (Bihar)-565.state category rank-210. Total govt seats in bihar-590.will I be able to get a good medical college in bihar or any other state??? ?plz reply.sir r u sure that there was not 50% GK mark criteria for selection in aiims?? Sir me up board se padhay kar rha hu please mujhe bataiye ki me 12 ke baad MBBS ki prepreation kese karu …. Join a good coaching institute for one year,follow the teachers there.. be consistent in ur studies..revise whole content of 11th and 12th PCB in a systematic manner. That’s simply wht’s required to clear a medical entrance exam. my rank is 9300 in general in all india qouta. can i get admission in mbbs in a government college? my rank is 9000 in general category. r u still sure?? SIR, my % in aiims would likely be b/w 48-51% & i belong to st category. do i hav any chance in aiims? thnx for cmplments……i thnk there are no chance in all india qouta if u r in general ctgry…….u can get seat in state bt less chances…..wait for counselling……..
i am no good in by hearting…but bio rquires it a lot. an easy way plzz. Sir, am a cbse student so there is no photo of me in sslc or 2 certificate and i dont have id card so what wil i produce as a valid identity. Sir, am a cbse student so there is no photo of me in sslc or 2 result and i dont have id card so what wil i produce as a valid identity. is 334 marks enough in neet for gen cat to get a good med college? give your ranks and ctgry……..
what ar the other options/cources after Neet/IP/AIIMS test… pl guide for other options in medical stream. sir can you tell me the cut off marks for sc category in aiims? Dont go for cutoff….they change e every year . ..give ur best…. yes i also want to know about it.. sir cant u give rough knowledge about cutt off ?? sir i wanted to know how to prepare for the gk questions…there are 20 questions that are supposed to come from gk…is there any shorthand method to prepare for it? sir , i have 450 marks for neet and i belong to general category,do you think i have a good chance for getting selected via neet? also ,can you say the expected mark in order to get into any of the aiims colleges (min number of questions to be correct…..,just a rough estimate). According to this year paper and feedback….u hv a good chance to be salected in gud clg…. Sir what is the general cut off mark for obc category….is there any spl importance to biology than physics and chemistry will the ranking be according to it..? Don’t go for cutoff cz it changes every year…..gv ur best…..
Sir, My Neet score is very bad. i know i won’t get college with that percentage. plus i had taken 1 yr drop too. I’m emotionally distressed as well as my dad passed away recently few months back during my preparation. How can i clear AIIMS,U.P.? please guide me. I want to clear for my father. Hello sir…I am getting 520/720 in neet….plz tell me if i can get a good govt college(HARYANA)….and also if i have chances in all india quota……Recently the govt has increased the no. of mbbs seats….being a haryana resident how does that benefit me ? i.e.how many seats in haryana have been increased?……..plz reply……Thank You…. My daughter is expecting a score of @ 460 in NEET entrance. On checking on Rank calculators given on various sites the AIR comes to @ 8000-10000. Most of the students -say @ 200 I have talked to mostly in Maharashtra are not even getting 400. How correct are these Rank predictors? Further what is the chances in Maharashtra Government colleges with above score? thnx sangeeta mam to join with us……. Can you give me link to genuine AIIMS UG MBBS entrance papers because most of the sites are giving PG entrance papers. I’ve one doubt abt the level of the question paper in AIIMS….is that equivalent to IIT (in phy and chem)…..also the previous yr questions available are merely based on the memory….so how can i accept it as 100% true (or at least 90%)…..you have faced the AIIMS exam……so was the questions were similar to that present in the previous year papers….?? sir, tell us some important topics for AIIMS in pcb..sepcly in phy n chem..pleease? Which books to study for aiims and how to get previous year question papers? search on net or search in market for papers…….read ncert again and again in all three subjects……do max no. of ques as many as u can……dont waste time….do max no. of ques as many as u can…..read ncert again and again in all three subjects specially in biology and inorganic chem……..i m soon posting an article on it……..stay connected……. sir i m getting jst 45% in neet..i know i will not get any college at dis %age..can i clear aiims by preparing properly in these 15-18 days…my parents have lot of expectations from me and m stressed about my neet results…pls help me sir..
Can u plz provide the link for aiims question papers ? Is assertion reason in aiims is surely coming and if so then how many questions would come?and sir is there a need to study other bio book or ncert +ques are sufficient? i am really confused, whether to study bology from ncert only..? or detailed study of certain topics is required for getting selected in aiims. moreover, i really ruined my neet by filling the roll no incorrectly. it affected my performance to a great extent and i lagged behind by half an hour. this brought down my score to a mere 430.
though i have already cried during all this time, but i believe that it is not going to help me in any ways. i look down at you to guide me about how to efficiently prepare for aiims. hoping for a quick and valuable response..
i just wanted to know whether vmmc is conducting their own entrance test for mbbs this year or not which was ought to be on may 11th?? Sir, aapke kitne marks the aiims mein?..actually maine kabhi exam nahi diya aiims ka ever..so ds wud b my frst tym to face ds entrance ever in my lyf(n may be d last tym..)…so as to get an rough idea about d cut-offs of aiims(n oder six too), cud u pls tell me about d cutoff for sc candidates precisely n what are the topics shud i pay more concentratn on.. in all 3subs?..thank you! CUT OFF GOES BTWN 65 TO 75% BUT CAN CHANGE SO GIVE YOUR BEST PERFORMANCES….WISAH U GOOD LUCK..
Thanku sir..! these tips means alot rt nw..